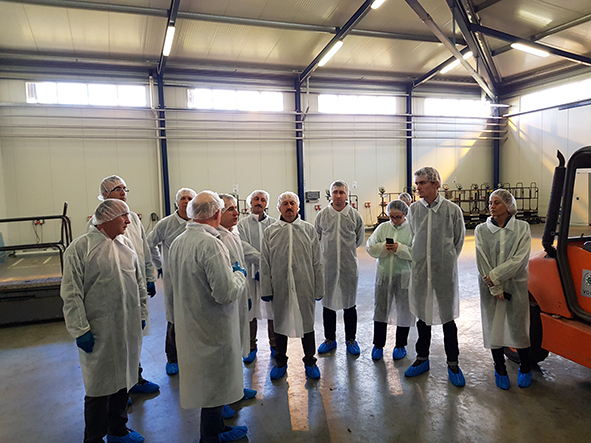 HollandDoor welcomed a group of civil servants from the Turkish Ministry of Agriculture, who were guests of Sweco in the Netherlands. The group followed a study tour through the agricultural sector with their focus on the effects of the European Nitrate Directive on farm level in the Netherlands. Hollanddoor presented the horticultural sector. HollandDoor explained the innovations that have taken place in order to reduce the emissions of nitrate and phosphate and to reach the targets set by the EU for clean and healthy water. It became clear that the pressure on the Netherlands, on the Horticultural sector and on the growers can be high and that the government, water boards, research institutes and growers have to work together to reach the goals.